When You Want to Be Warm and Glowy #WearableWednesday #wearabletech #fashion #tech « Adafruit Industries – Makers, hackers, artists, designers and engineers! 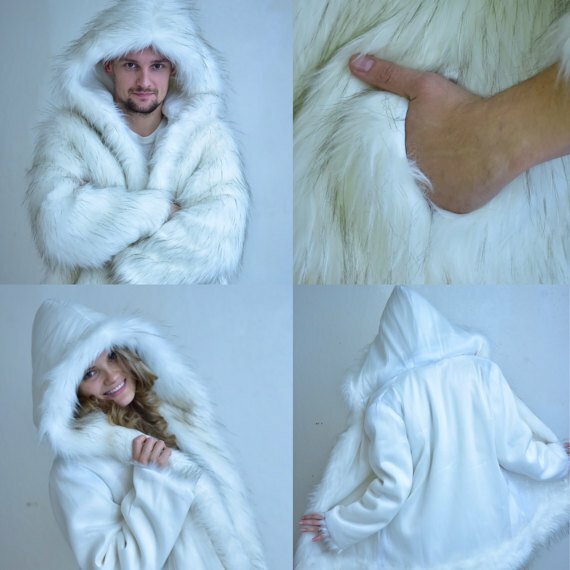 For Burning Man fans, this coat may be of interest. This is BOHO Coats first fiber optic fur coat that walked the runway at Silicon Valley Fashion Week last year. It’s called Matrix and the designer is Katrina Ponina who happens to be a lover of all things Burning Man. All of BOHO’s coats are reversible, so you can wear the fur inside or outside. Of course the best part is the fiber optic fabric, complete with a remote to choose four different light colors as well as four different light patterns. The price tag is $1,800, but before you roll your eyes you should know that fiber optic fabric is expensive and these coats are not mass produced. Of course, if you want to just hack last year’s furry vest sitting in your closet, you could do the inexpensive thing and add fiber optic strands. 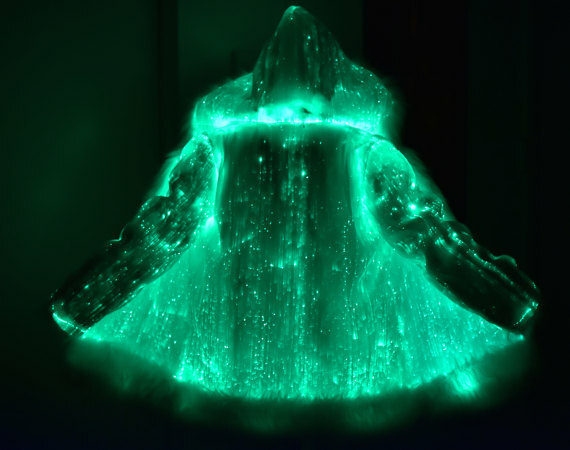 Check out our learning guide for Fiber Optic Pixie Dress and get started on your glowy winter outfit.